The answer, as our young friend has told us, is” because that’s what’s inside. It’s one of the great lessons of life. What comes out when life squeezes you? When someone hurts or offends you? It doesn’t matter who does the squeezing: your mother, your brother, your children, your boss, the government. If someone says something about you that you don’t like, what comes out of you is what’s inside. 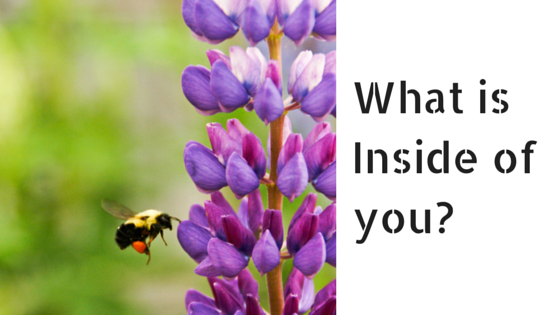 And what’s inside is up to you, it’s your choice.